The colour's of Scotland are for me an eclectic mix of powder green and muted purples. 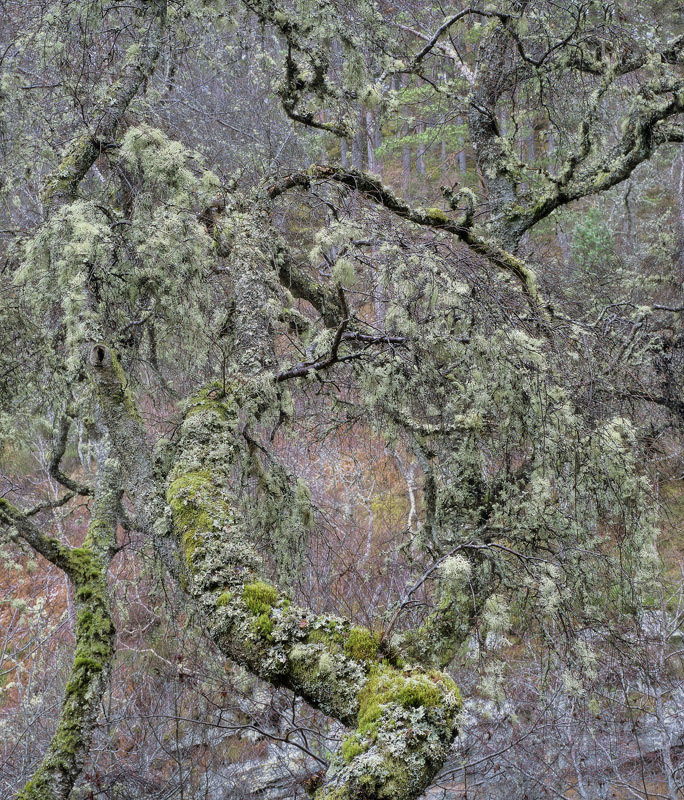 These colours seem to commonly spill out of the Scottish landscape and stem from the damp hanging green lichens and sponge mosses that festoon tightly twigged birch trees. Whilst the powdery greens of the lichen are obvious from any distance it is the curious nature of the birch tree which astonishes me. During winter only the twigs and trunk are on show. On close inspection they appear grey, but put some distance between you, and the red maroon blush of densely packed twiggery is apparent and vibrant. This confusing, apparently compositionless shot is intended to bring out the colour of Scotland.